For information on how the returnable, refillable, reusable process, visit our HOW IT WORKS page. How do I edit my subscriptions? You need to go to the subscriptions page to add, edit or delete your subscriptions. There are more instructions and videos there to help explain the process. NOTE: you will need to be signed in to the site in order to see the subscriptions page. Please don’t hesitate to contact us if you are having trouble or need some help! Are your products toxin-free and kid safe? Yes, Mother Nature provides all of our ingredients. You’ll find we only include things that you can pronounce, no multiple-syllable chemicals. In addition to being vegan, non GMO, and organic, our products are free of sulfates, parabens, and toxins, making them safe for kids, much softer on colored hair than typical shampoo and recommended for those of us who have sensitive skin. Are your products color safe? Yes! Our products are free of sulfates, parabens, and toxins, making them much softer on colored hair. Happy to day our products are completely color safe. But the real test is that our mom has been using them and we would definitely have heard if they weren’t!. Should I send back very dented or damaged bottles? No, it’s actually better not to send back bottles that are too dented or damaged for us to reuse. The good news is aluminum can be recycled without any quality loss, so they can be turned into other aluminum products an infinite number of times. When plastic is recycled it’s downgraded and can only be recycled once or twice. Where does Plaine Products ship? Right now we are just selling to the U.S. and Canada through this website. In addition you can find a list of our brick and mortar retail partners here. The list is growing all of the time and we are always open to new partnerships! Can I give Plaine Products as a gift? Yes! There are two options: You can select a gift card in the shop and it will be emailed to the recipient – no waste at all. Or, on the checkout page where you enter your payment information, there is an option at the bottom of the screen to ship to a different address. There’s also a notes section where you can include any information we need to know, or if you want us to include a card! What should I do with the box the products came in? The first box you can recycle. Future refill boxes you’ll keep and use to return empty bottles. How does the subscription process work? For orders in the 50 U.S. states and Puerto Rico we charge a flat $5 shipping fee for all orders under a $100. For orders over $100 there will be an option to select free shipping when you check out. For Canadian orders the shipping cost will be the actual cost of sending products to your address. The cost will adjust as you add or subtract products once you enter your shipping address. How should I prep my empty bottle to be returned? Often there is still some product left in an “empty” bottle. When the pump stick can no longer reach the shampoo in the bottom of the bottle, add a little water and shake it up to create diluted shampoo. It still bubbles up and works just like regular shampoo, you might just need a little more. This works for conditioner and body wash too! Once you’ve emptied your bottle a few quick rinses and a little time to dry is all it needs before being placed in the refill box and set out to be returned to us for free. We’ll happily clean, sterilize and refill the bottles and send them back into the world. Does Plaine Products accept returns? If our products don’t work out for you and you want to send them back within 30 days we’re happy to issue you a refund. Contact us and we’ll email you a return label and deduct the cost of the shipping from your return. Along with the bottles please include a note with your name, order number and your request for a return so we know who to credit. If you have received a damaged product, or if your box is missing a pump or a lid, please contact us within 30 days of delivery and we will solve the problem. Can I travel with my Plaine Products? Our travel size shampoo, conditioner, body wash and lotion are all TSA compliant and can be used in carry on bags. The best part? You can refill them with our 16 oz bottles when you get home! Our 16 oz bottles can travel in checked baggage. We recommend you use the caps they arrived with to seal them for travel and bring the pumps along separately. What’s the best way to transfer the pump from one bottle to another? Move the pump straight from your empty bottle to the refill bottle to reduce any chance of contamination by leaving it sitting in your shower and exposing it to air and water. 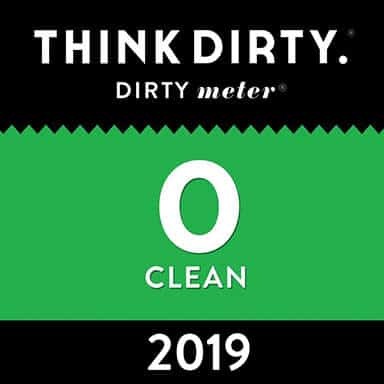 If you’re switching the pump lid to a different product, its a good idea to pump water or rubbing alcohol through the pump to make sure it’s free of residue. What’s the best way to open your boxes so I can re use them? To open cut the shipping label along the bottom of the box.Then pull the two tabs out on either side of the labels to open the lid. When you ship the box back just place the return label over the shipping label to seal it closed. Where are you selling your products? Right now we are just selling to the U.S. and Canada through this website.In addition you can find a list of our brick and mortar retail partners here. The list is growing all of the time and we are always open to new partnerships! How do your products work on different hair types? Where are your hair and body products manufactured? A family-owned and operated, environmentally-friendly company in the United States provides us with custom, small batch, private label products. They are passionate about using superior ingredients and are associated with some of the finest resorts in the world. They specialize in luxury, all natural products and their unique formulas are carefully selected from nature’s most nutrient and vitamin-rich plants, minerals, and renewable sources. Do you test any products on animals? 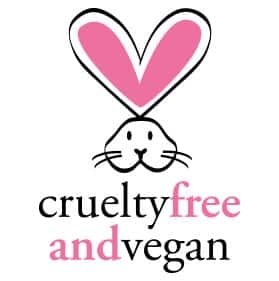 No, all of our products are animal and cruelty-free, with ingredients derived from plant-based materials. All of our manufacturer’s tests to ensure quality are done on site and animals are never used. Is there any BPA in your products? No, our pumps are BPA free. The cosmetic grade liners inside the bottles are BPA and PVC free. I love your stuff. How can I help tell the world about Plaine Products? So glad you asked! We have a program for individuals, bloggers and nonprofits who use Plaine Products, love them and want to get others to join them in eliminating single use plastics. Plaine Promoters spread the word about our products and get 10% from every sale they generate. Read more here. No! We are happy to say that Plaine Products is palm oil free! Not only do we not use it as an ingredient, but it is also not hidden inside other ingredients. Our vegetable glycerin is derived from coconut oil and our glyceryl mono stearate in the body lotion is palm oil free. What is the pH range for your products? The pH range for the shampoo is 5 – 6. The pH range for the conditioner is 5.5 – 6.5. The pH is 6 for face wash. The average pH of our lotions is 4.4. I recycle already. Why do I need a reusable bottle? When you recycle a plastic bottle only 10-20% of it can actually be successfully recycled, and even that portion is often downgraded into another lower form of single use plastic. Due to the downgrading process, recycling only delays plastic’s trip to the landfill, where it lasts for hundred or thousands of years. Meanwhile, the plastic waste that avoids the landfill has a high chance of ending up polluting our oceans thanks to its durability. In contrast, our aluminum bottles can be recycled without any quality loss. In fact, recycling aluminum requires less energy than was needed to make the bottles in the first place. What if my mail carrier doesn't pick up my box full of empty bottles? If they don’t pick it up the first time, put a note on your mailbox, or on the box itself, letting them know it needs to be picked up. What happens if my shipment goes missing? If your shipment is missing, we need to be notified via email within 30 days of receiving your shipping notification. We will work with you to find the products or replace them. We just added a new citrus lavender scent to our line of vegan personal care products along with face wash and face moisturizer. We plan to add additional personal care products in the future and are always open to suggestions! If you have other questions please send them to us. We are always adding to the FAQ page as new questions arise. Every year 93% of all adult Americans tested are positive for the plastic chemical BPA.